You can find jobs using search engines or find them on top job search sites using the Internet. Search sites have work at home jobs in addition to job listings for major corporations. Using the Internet to find jobs is quick and easy and reduces job searching time. Discover some of the best search sites for jobs and land your new job tomorrow. You will be amazed at how far the Internet has taken job search sites if you have not already explored this option. Top job search sites not only list oodles of job listings locally and worldwide, but many sites help you to get jobs. 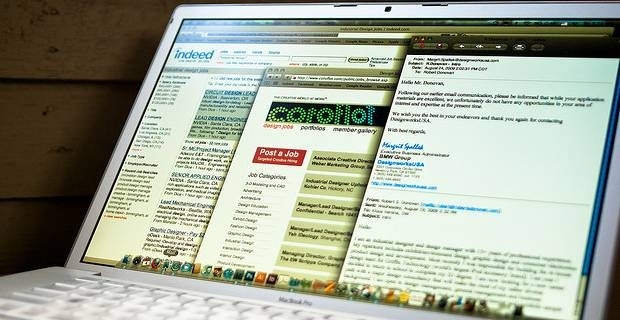 Some job search sites allow registered users to post CV advertising their skills. In addition, some sites offer email notifications when your CV has been viewed or when new vacancies open in your job field. Careerbuilder.com is a massive site offering exceptional resources to job searchers. The site hosts thousands of job advertisements while allowing job searchers to post their CV. You can find job fairs to see who is currently hiring and view numerous job resources on the site. There is also plenty of job advice and you can take advantage of special job notification alerts. In addition to posting job ads, Simply Hired allows job searchers to rate jobs, which trains the search engine to provide a more user-friendly service. Job applicants can take advantage of company profiles to learn more about potential jobs. You can even research salaries to learn about current pay scales. This site supports simple and easy features to make job searching easier. The site uses a job search engine with meta search technology, which combines job ads from many other job boards and large job search engines to provide a comprehensive database of jobs for job seekers. Top job search sites provide extensive information, and posting your CV on a search site can be an advantage. Your CV is available for viewing by hundreds of prospective employers and this saves job applicants lots of time. Make sure you do not write down private information on your CV. Your address, phone number and social security number can be given to an employer once you are hired. It is best not to include this information on your CV on job search sites.